The Outlaw X Series is powered by VIVX lenses by ZEISS and is certified to be a perfect optical instrument. The athlete is presented with an unobstructed view without any imperfection or visual disruption. The Outlaw X Series incorporates our unique counter balancing temple geometry to reduce all felt weight on the bridge of the nose. The temple arms are intentionally designed to wrap the head. We have increase the length by 6mm to create this geometry. 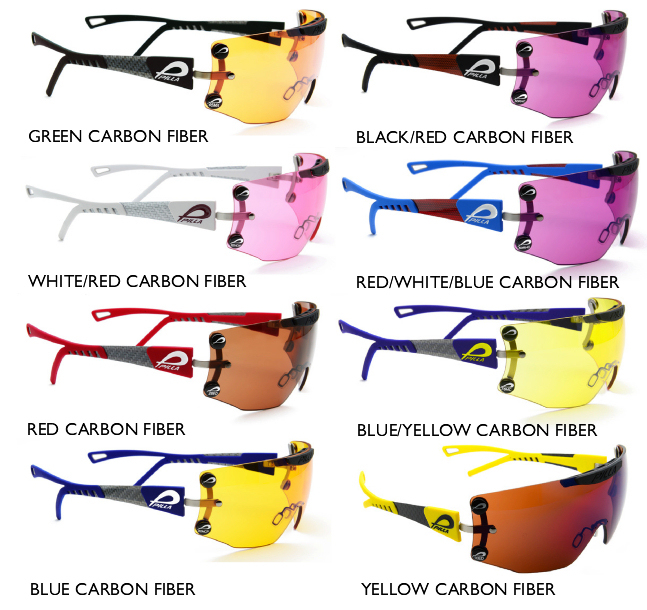 The Outlaw frames come in multiple colors including Black, Gray, Blue, Red, Yellow, White and many other combinations. This model uses a Base 6 lens providing wide coverage of the face. The lens is over 150mm wide and 55mm high. This model uses a Base 7 lens providing a high degree of wrap. The lens size coverage is very similar to the Outlaw X6 but bends around the face more in a narrower design. The coverage is excellent.